If you are not a fan of heights, you may not want to scroll down any further. Most of the time we don’t think twice when crossing bridges, especially if we are travelling by car. You rarely get too close to the edge to see over the sides, so you feel safe in your crossing. Across the world, there are many different types of bridges that have their own unique designs. 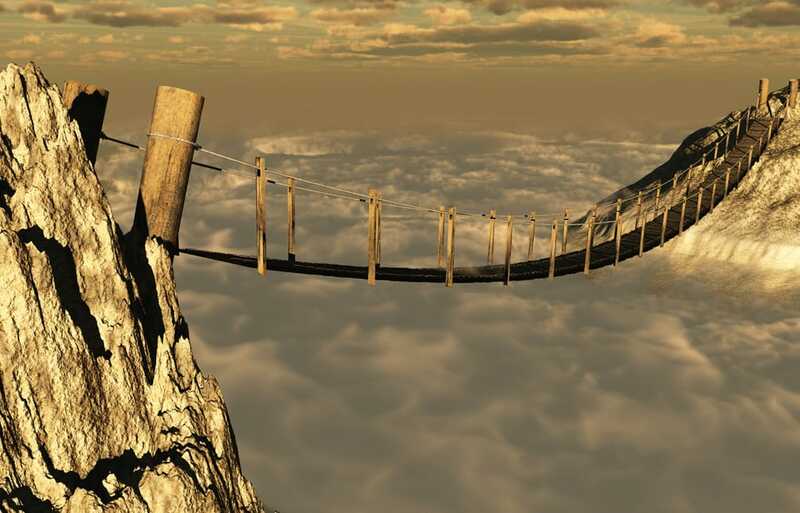 But how do we judge what makes a scary bridge? This could be a range of factors such as being judged on their height, length or even what they are made from! 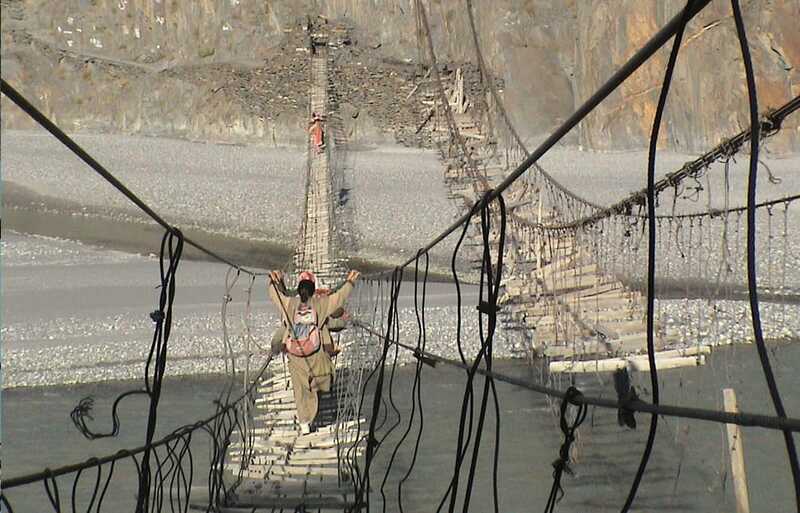 If your journey involves crossing a bridge, whether you are travelling by car or on foot, you have no choice but to cross, and for some this makes the journey that much more exciting, or for some more terrifying. We have put together a list of bridges that will put the jeepers up most, but maybe entice a few of you into setting off across the world to cross them! Have you ever been across any of these? This daunting looking bridge is a popular tourist attraction, with the bridge grossing a gorge that stands 955ft above the Akansas River. The length of the bridge is 1,260ft with a width of 18ft making this one of the more narrower bridges in terms of its overall length. This bridge also held the record for the ‘Highest Bridge In The World’ from 1929 to 2001, before it lost the title to the Liuguanghe in China. 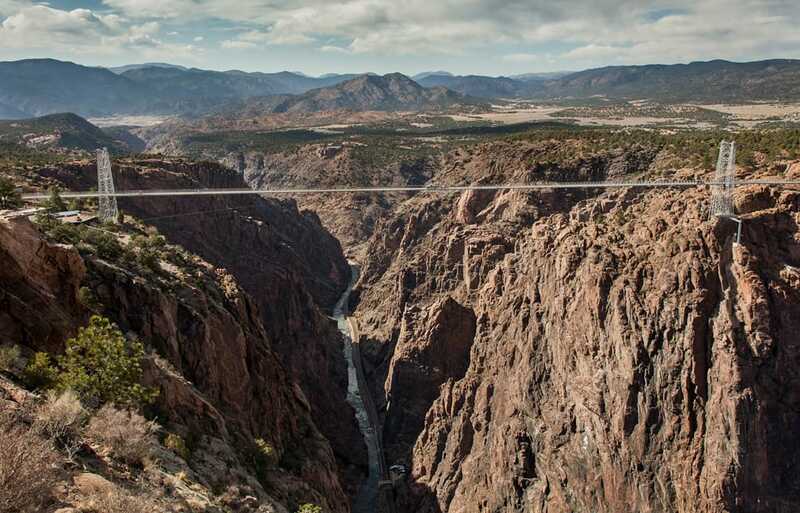 This suspension bridge currently holds the title of ‘Highest Bridge In The World’ and stands at a staggering 1,627ft from the ground below. 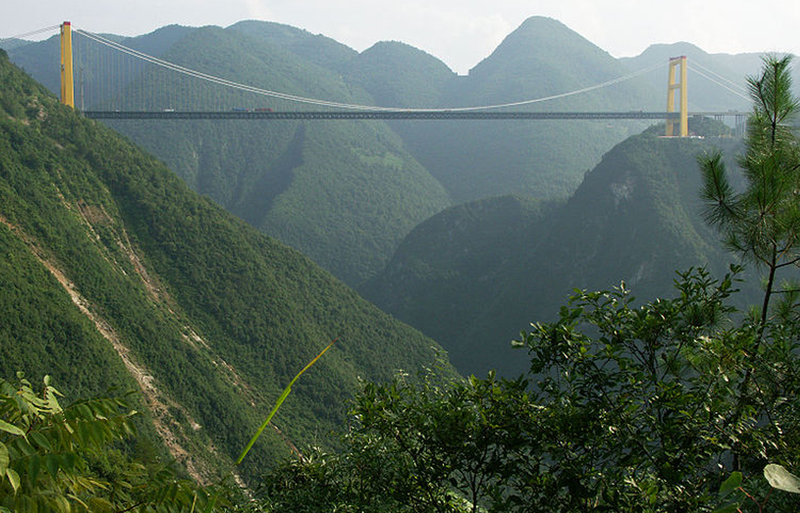 Situated in the famous Three Gorges valley, this bridge is suspended high above the Sidu River. The bridge spans a chasm so large they had to fire a rocket across to the other side to string the first pilot line across the 5,000ft gap. 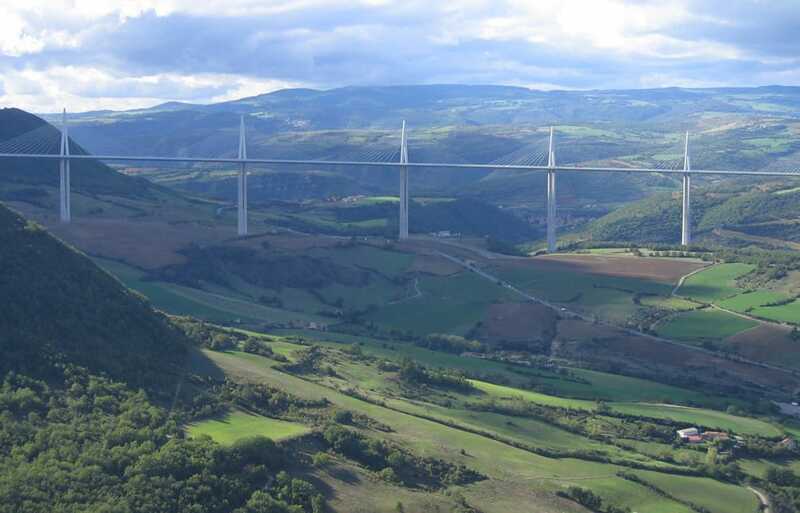 This breathtaking structure is a cable-stayed bridge spanning the valley of the River Tarn. Despite only being the 17th highest in the world, it does boast the fact that it is one of the longest. The main P2 pier of the viaduct is the tallest structure in the whole of France, even bigger than the famous Eiffel Tower. 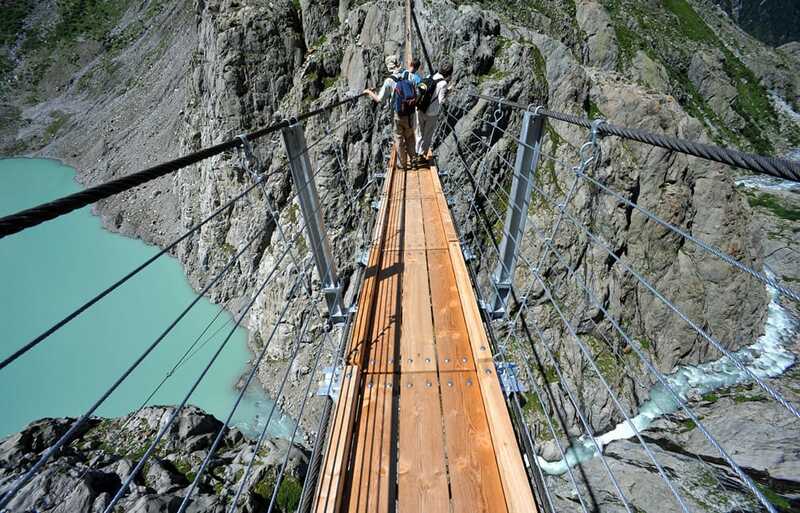 The Trift Suspension Bridge is located in the stunning Swiss Alps and is one of the most daunting footbridges in Europe. To get to the bridge it is almost a two-hour hike, and it is recommended that the route to the bridge is only taken by seasoned hikers. The bridge spans 560ft across, standing 330ft off the ground. Considered by some as the most dangerous bridge in the world, the Hussaini Bridge is situated across the waters of Borit Lake. While the bridge continues to crumble, it was a popular tourist spot for many years. How many of those tourists actually crossed the bridge is another matter! Have you been across any of the bridges above? Have you been across a scary bridge yourself? Leave your comments and photos below!